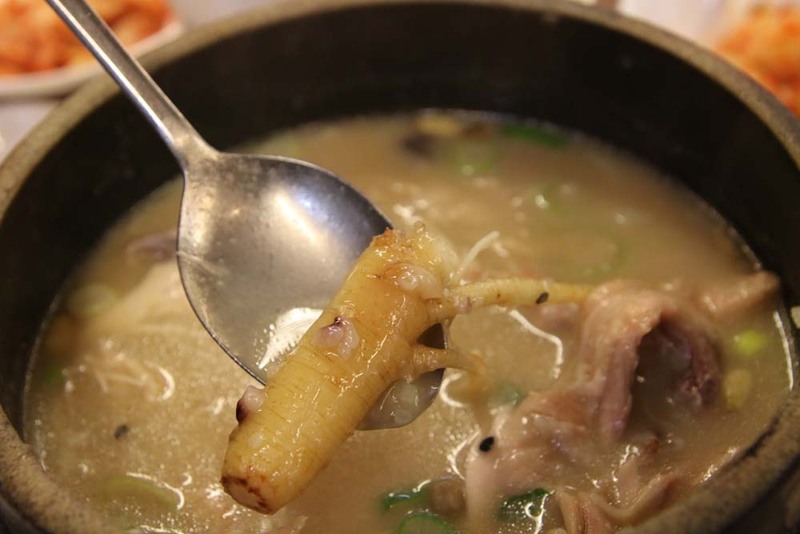 Samgyetang (삼계탕) is the name of the Korean ginseng chicken soup. Traditionally, only the royal and upper class families could afford to eat this dish in the past. Nowadays, every Korean eat the ginseng chicken in the hottest day of the summer as a way of getting the energy to face the heat. Mainly ginseng but also other ingredients of this dish have healthy properties that enhance body immunity. 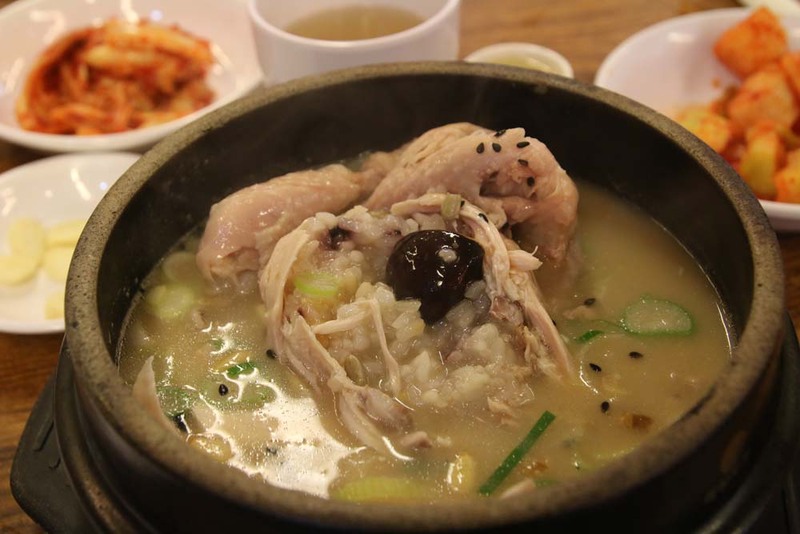 Tosokchon Samgyetang is the most popular place to eat this Korean traditional ginseng chicken soup. 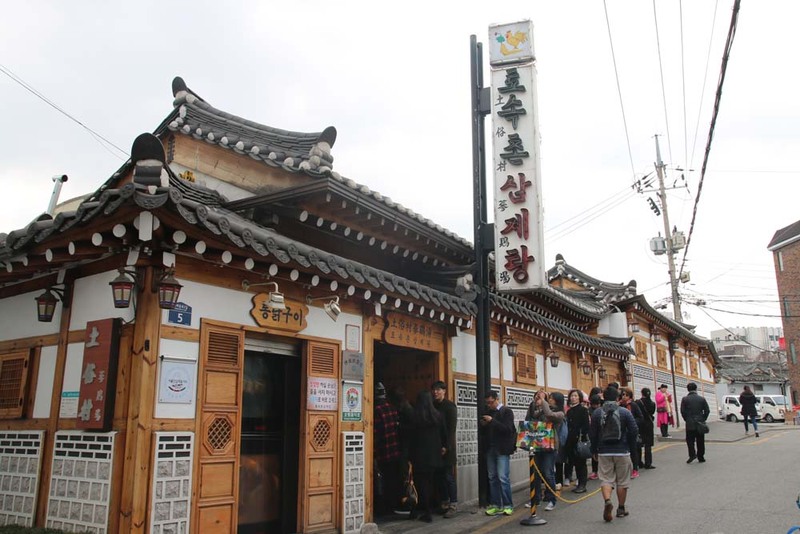 The previous president of Korea Roh Moo-hyun frequented this place, so you can get an idea that this restaurant is a really big thing. *Don’t be scared if you see a long queue when you arrive, the restaurant has 420 seats and you won’t wait more than 15 minutes. The restaurant is huge and it’s always full. Koreans love this restaurant and even my Korean friends told me that this is the best ginseng chicken soup they have ever tried. In Tosokchon, they cook the ginseng chicken food with Tojongdak (Korean chicken), 4-years ginseng, chestnut, jujube, garlic, ginger, adlay, perilla seeds, pumpkin seeds, sunflower seed, nuts, pine nut and black sesame. In addition, the chicken is stuffed with rice. All this ingredients make a perfect harmony that gives the chicken and the soup an amazing flavor. Also the combination of different textures is excellent. 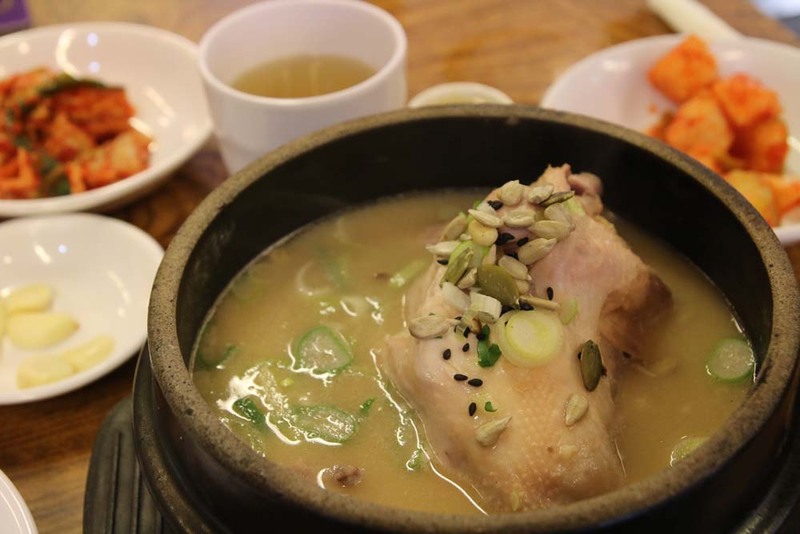 Samgyetang (삼계탕) Ginseng Chicken Soup cost 16,000 Korean Won. They serve it with 2 different kinds of Kimchi, cold tea, a ginseng liquor shot and garlic. 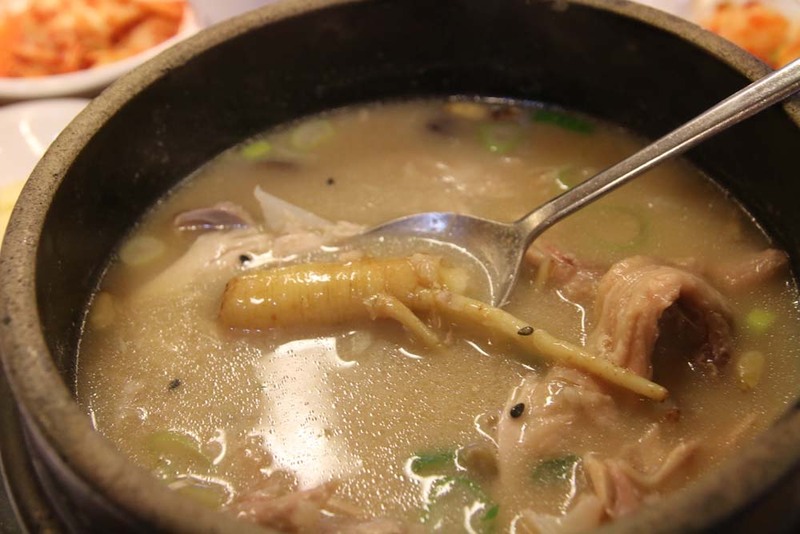 I always describe the Korean ginseng chicken soup as the best healthy food I have ever tried. I have been to Tosokchon restaurant 3 times and I can’t wait for the next one. This is definitely on my top 5 restaurants in Seoul. 5 minutes walking from the exit 2 of Gyeongbokgung Station. Monday to Sunday 10.00 to 22.00.